Continuing a controversy started at Cannes, more movie theaters outside of the U.S. are attempting to stage a revolt against Netflix for flouting traditional distribution strategies. Now, per The Korea Times (via Deadline), South Korean chains are refusing to screen the company’s upcoming Okja should it go forward with its plan to make the movie available at the same time in theaters and online. The most significant player, CJ GGV, is saying that it won’t show the movie, and advocating that the company wait three weeks following a theatrical release to put it on its platform. A source from the company told The Hollywood Reporter: “Netflix has completely disregarded the ecosystem of the Korean film market.” Meanwhile, Lotte Cinema will hold out if the streaming service won’t budge and will ultimately schedule a later “re-release,” per The Korea Times. Yet another chain hasn’t made any decisions but also expressed that it isn’t happy. 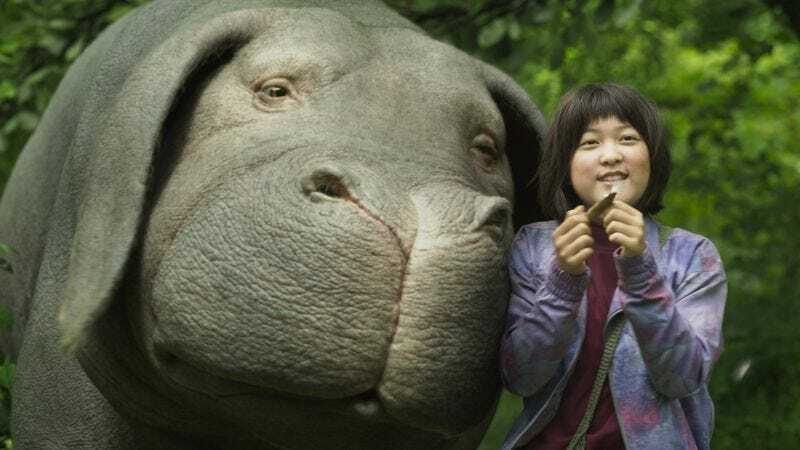 This is especially significant given that South Korea is the home country of Okja director Bong Joon-Ho, and is one of only three nations that was going to get the tale of a girl and her super pig on the big screen. The others are the U.S. and the U.K. During Okja’s Cannes premiere, audiences booed the Netflix logo.